Published: Sept. 17, 2017 at 04:19 p.m. 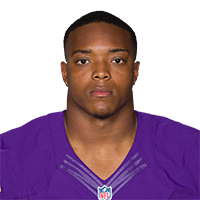 Published: Sept. 1, 2016 at 10:47 p.m.
Minnesota Vikings running back C.J. Ham runs it up the middle for a 1-yard touchdown. Published: Aug. 12, 2016 at 09:35 p.m.